Evo & Grace: The WanderLusts: Fil-Global turns 3 year old. 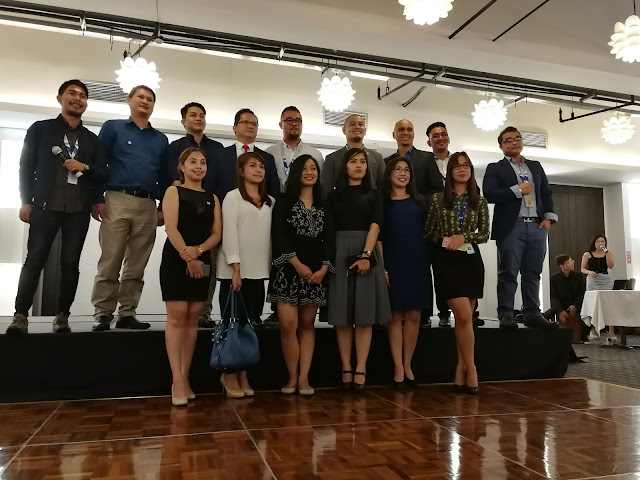 In celebration of its third year anniversary in the Philippines, Fil-Global Immigration Services Corporation (Formerly Fil-Global Ltd.) host a wine and cheese immigration event last August Aug 7, 2017 at the Roberts Hall of Times Plaza in Manila. 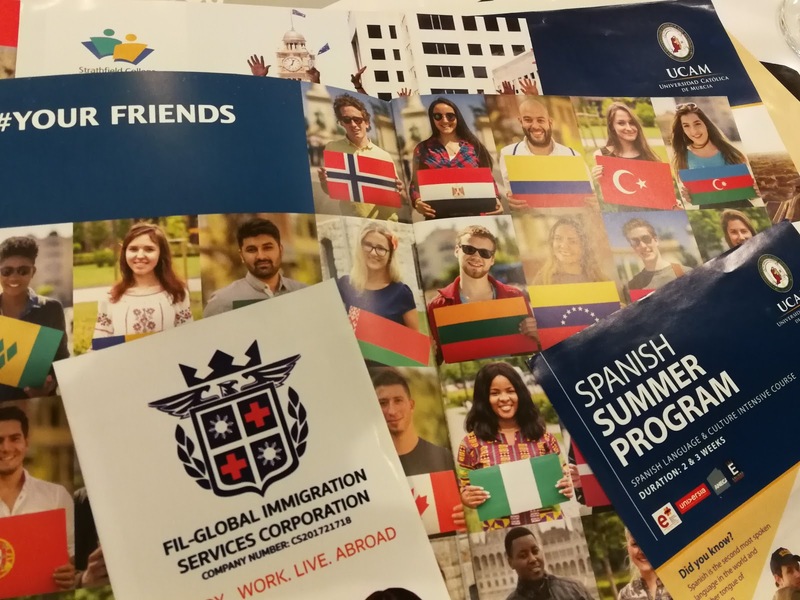 Fil-Global offer travel, work and study abroad in 20 different countries since 2015, but what they are promoting this time is the Pearsons Test of English, the fastest, accurate and no human error occurrence. PTE is develop by world’s largest education that was honored and recognize by many universities and work admission in around 70 countries. PTE is like the one we know about English proficiency examination such as TOFL, IELTS and so many other. It is program and design to meet the demands of diverse disciplines, tailored to the needs of students who want to acquire specific functional English communication skills. Starting price for those interested in PTE is $205 that you can get the result in maximum five days after the exam, plus if you fail you can re-apply immediately online for another session, single session usually takes 3 hours. PTE results usually have 24 months expirations. In the said event, JVB Travel and tours, the official travel company of Fil-Global Corporation, is introduce as a company founded in London, and composed of highly skilled professionals from many sectors, they are the one assisting the client of Fil Global either work or studying abroad. Fil-Global people and other partners. So if you’re planning to work abroad, migrate abroad or further your studies, you can go anytime to their office at 12/F Times Plaza Bldg, UN Avenue Corner Taft Avenue, Ermita Manila, or contact them at +63 917.114.2345 or email them at HQ@fil-global.com For Visayas they also have office in Dumaguete City, and Cagayan De Oro for Mindanao.